Here for you is a healthful Recipes from Amanda Michael of JANE on Fillmore Street in San Francisco-very suitable for making with or for the kids this autumn. Preheat the oven to 400 degrees. 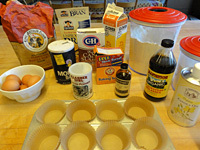 Line 24 muffin tins with paper muffin cups, or lightly grease. 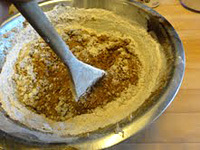 In a large bowl, mix together the bran and buttermilk and let sit for 10 minutes. 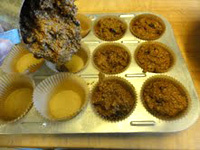 Stir in the oil, applesauce, eggs, molasses, brown sugar, and vanilla and let sit another 10 minutes. 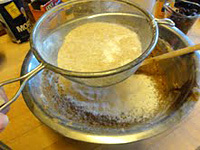 Sift in the flour, baking soda, baking powder, and salt. Stir to combine. 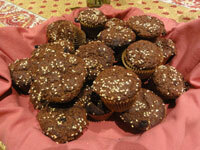 Mix in the dried fruit. 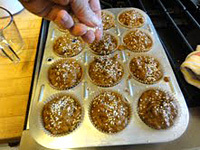 Fill the prepared pans with the bran muffin batter, sprinkle with the seeds, and bake in the preheated oven until firm to the touch, 20 to 25 minutes. Note: You can make applesauce quickly by peeling and coarsely chopping two apples and cooking them gently until soft with a splash of apple cider vinegar, a sprinkling of sugar, a couple of spoonfuls of water; then mashing.